Gilroy didn't place for Michael Clayton, to Dan Sallitt's eternal chagrin. Kikuchi makes her second appearance, having placed 7th in the same category three years ago for Babel. Schwartzman makes his third appearance, following a 4th-place finish for lead in Rushmore (1998) and—still not sure I understand this—a 20th-place Supporting nod for Marie Antoinette (2006). Moreau and Descas debut, as does Shelton (for a film that reportedly had no script, but maybe scenarios count). Good job, voters. I've enjoyed Rinko's work since way back when she was a regular on Hill Street Blues. Schwartzman should be higher, but I'll take it. Funny, I found Rinko to be the weak link in BLOOM. Her performance felt too winkwink nudgenudge to me and took me out of the film. Schartzman rocked FOX. There was surprisingly subtlety in his voice acting and he captured that misunderstood kid vibe perfectly. One welcomed spot of warmth in a film that felt icy and stiff to me otherwise. 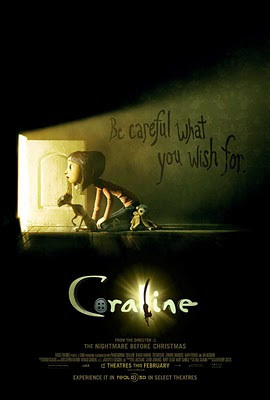 CORALINE left me cold, too. Thank god the loveable UP came along this year, so I wouldn't think I had an animation block. Hats off to Tony Gilroy for bringing some old school, wit-generated sparks to the big screen. I felt Kikuchi's winkwink nudgenudge role (and surely this wass precisely as written) to be part of the larger 'con' of the movie, ie; Bang Bang is there to put you at ease that this is a trifle entertainment... i think the weightier aspects of the resolution are all the stronger for their unexpectedness, and the stellar diversion of Bang Bang is a big reason for this. good job voters. My biggest gripe from a second viewing of tBB is her unresolved fate. Your point about Rinko's performance makes sense, Lee, but I think she could've achieved the comic trifle effect without full-on mugging. Brings to mind MDA's Scenic Route on silent movie overacting. Now that I think about it, she was almost doing a silent movie performance, which felt like overkill for an already comically "mute" character. Interesting you bring up wanting to know her fate. At one point during my first viewing, I was really hoping there'd be the twist of BangBang and Penelope pulling their own elaborate con on the guys. Glad to see Schwartzman here. Hope that Clooney (as Mr. Fox, obviously) ranks high.